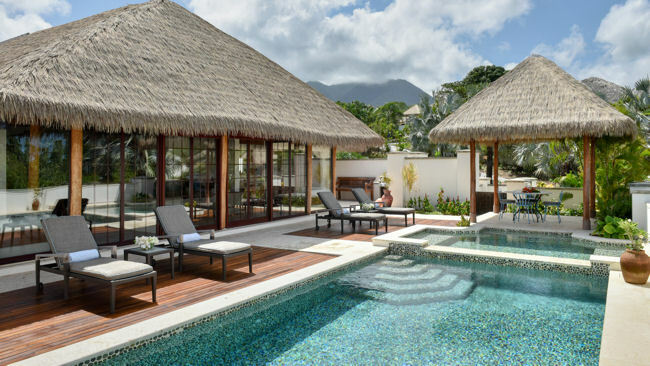 Paradise Beach Nevis, a sophisticated seven-villa resort, has opened on the Caribbean island of Nevis, providing a chic and discreet beachfront retreat for couples, families and groups of friends. 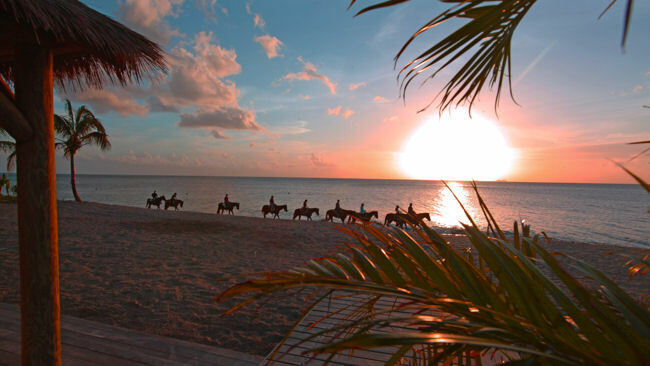 The privately owned property offers the only beachfront villas in Nevis, including concierge and butler services. 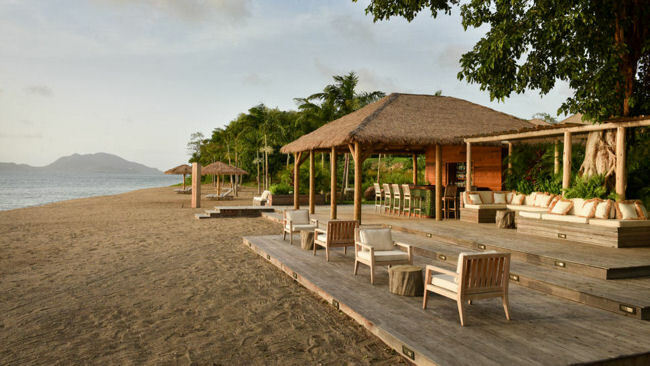 Situated on the west coast, just north of Pinney’s Beach, Paradise Beach Nevis commands unrivaled views of Mount Nevis, the Caribbean Sea and the neighboring island of St Kitts. The secluded resort offers a total of seven deluxe two, three, and four-bedroom thatched villas, each boasting a pebble-lined plunge pool, outdoor marble shower and a private setting within lush gardens. 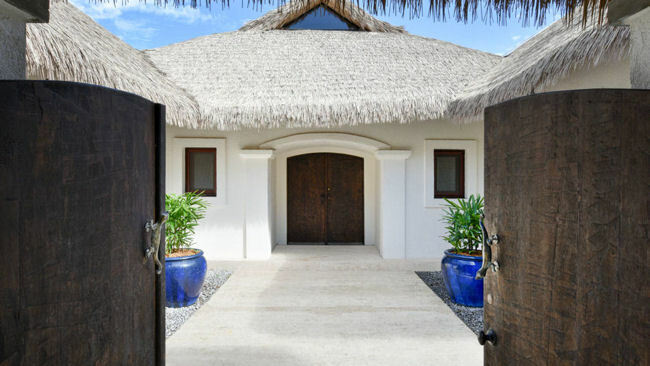 Designed to maximize comfort and privacy, and to take advantage of the breath taking location, the villas cocoon visitors in a tranquil tropical setting. Each villa features a Balinese-inspired thatched roof; hand cut exposed beams; 30FT high vaulted ceilings; and sliding glass poolside walls. 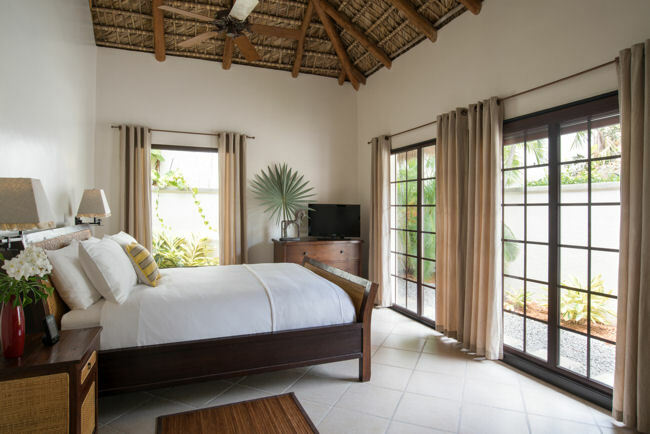 All bedrooms across the resort are en-suite and each villa comes complete with well-equipped gourmet kitchen (ideal for guests’ chefs to prepare dinner or offer lessons in creating local specialties); an elegantly appointed lounge area; and a grilling deck for al fresco dining. The two and three bedroom villas offer 2,900-square feet of living space, whilst the four-bedroom villas boast 3,400-square feet. The Beach Bar offers a chic Caribbean spot to sip cocktails on a chaise longue or in a hammock; facing westwards, this is one of the finest sunset spots on Nevis. Snorkeling, paddle boarding and other water sports can be enjoyed direct from the beachfront and a range of spa treatments are available in the villas by appointment. For day trips to neighboring islands, consider lunch in St Barts, golf in Anguilla, or shopping in St Martin – all easily reached by private plane.